U.S. authorities are expected to hand videotapes of Omar Khadr to the Canadian government this week now that the head of the military commission has signed off on their release. American authorities are expected to hand videotapes of Omar Khadr to the Canadian government this week now that the head of the military commission has signed off on their release. 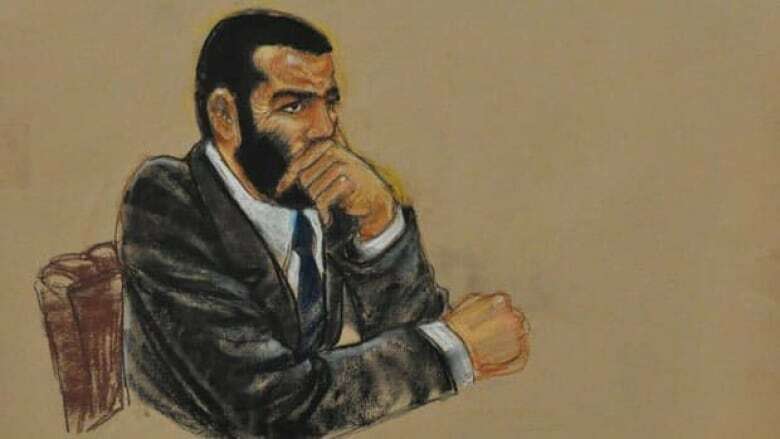 Khadr's Canadian defence team, meanwhile, served three affidavits on the government on Monday in support of its Federal Court application to force Public Safety Minister Vic Toews to make a decision on the prisoner's transfer from Guantanamo Bay to Canada. The government has a month to respond but the lawyers said they were hoping the hearing would be expedited. Toews has demanded access to the tapes of two mental-health assessments done of Khadr prior to his trial two years ago in Guantanamo Bay. One assessment was by Dr. Michael Welner, the prosecution's star witness at Khadr's military commission trial in October 2010. Welner concluded Khadr, 25, was an unrepentant and dangerous jihadist. The other was by a U.S. military psychologist, Maj. Alan Hopewell, who considered Khadr to be defensive and manipulative, but also mentally stable, upbeat, and an independent thinker who sees himself as a Canadian. Bruce MacDonald, the convening authority for the military commissions, agreed immediately to release the tapes. "Upon request by the prosecution and the defence counsel, in accordance with the terms of the pretrial agreement, I order the videotapes of the examinations by Dr. Welner and Dr. Hopewell partially unsealed," MacDonald directed. The tapes could only be released to Canadian officials "involved with making decisions related to Mr. Khadr's transfer and confinement" and to "appropriate" American officials involved in transfer discussions with Canadian authorities, MacDonald said. The tapes are otherwise to remain sealed. "Everyone has moved very quickly to respond. Why? Because our client has nothing to hide. Neither do the Americans," Brydie Bethell, one of Khadr's lawyers, said Monday. "Why didn't the minister bring this request to our attention before? This could have been dealt with over a year ago." Under his October 2010 plea deal in which he pleaded guilty before a widely condemned military commission to crimes that included murder in violation of the law of war, the Toronto-born Khadr was sentenced to a further eight years in prison — one of them to be served in Guantanamo Bay, the rest in Canada. But Toews said recently he needed to see the tapes and the assessment reports to help him decide whether to allow Khadr to return. Toews already has two mental-health reports — done for the defence — both of which described Khadr as non-radicalized, a good candidate for reintegration, and someone who poses no security threat despite his experiences during his years in U.S. custody. Getting the videotapes to Toews proved tricky because they had been sealed by the military commission judge. Late last month, Khadr's Pentagon-appointed defence lawyer and Maj. Jeff Groharing, who prosecuted the Canadian citizen, jointly asked the head of the military commissions to release the tapes. MacDonald also said the government already had the unredacted transcripts of the assessment reports Toews had requested. "It is beyond us why he would decide so late in the day that he needs additional materials," Bethell said. Khadr was 15 years old when he was captured badly wounded in Afghanistan in July 2002. He was transferred to Guantanamo Bay a few months later — almost a decade ago.